Black woven aluminium, easy to bend into shape. 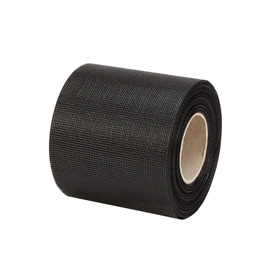 Black PVC coated fiberglass insect mesh, strong fabric-like material. 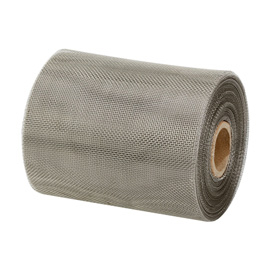 Long lasting stainless steel insect mesh, highly rust resistant. Insect mesh for Soffits. 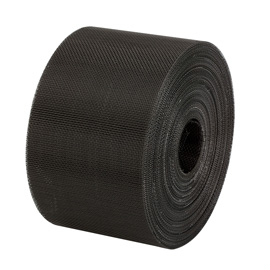 Available in 75mm, 100mm, 150mm, and 300mm widths. Lightweight meshes with good flexability. Available in Stainless steel (Grade 304 or Grade 316), Black Epoxy Coated Aluminium, Black PVC Coated Fiberglass. All products offer a small hole size to keep insects out, and a good open area for excellent ventilation. Also ideal for timber cladding.